There have been ample studies done on andarine. For instance, one study showed that taking a small dosage of S4 everyday restored skeletal muscle. Furthermore, in comparative studies with dihydrotestosterone (DHT), increases in bone mass and strength were observed at a higher rate with andarine than with DHT. In addition, more studies showed that andarine was more effective at losing fat and creating lean muscle mass, and it did so in a shorter amount of time with significantly less side effects than anabolic steroids. 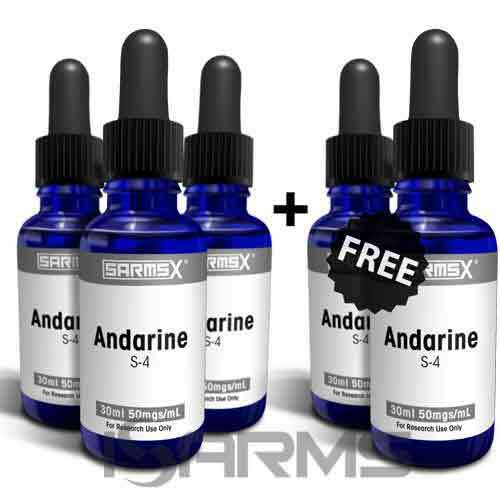 Due to the fact that andarine binds to androgen receptors, it can increase strength and build lean muscle mass without creating water weight, drying out the joints, stressing the liver, or causing severe suppression. What’s more, there is strong evidence that S4 also helps prevent osteoporosis, meaning that it will strengthen bones and soft tissues within the body. 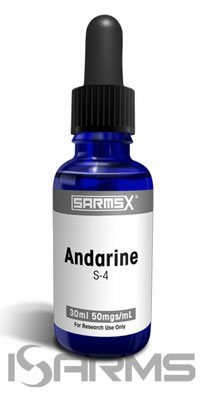 Likewise, andarine is great at preventing muscle wasting for those who choose to use it as a bridge between steroid cycles in order to keep muscle mass gains. Andarine can be used by itself, but it works even better when stacked because different drugs and compounds will work in synergy. There are a few ways to stack andarine, which I will illustrate below. All milligram (mg) examples are daily dosages, and you can run andarine for up to 12 weeks at a time. 1. Endurance: you can stack andarine at a low dose with cardarine (GW 501516) at 20mg per day for an increase in endurance. 2. 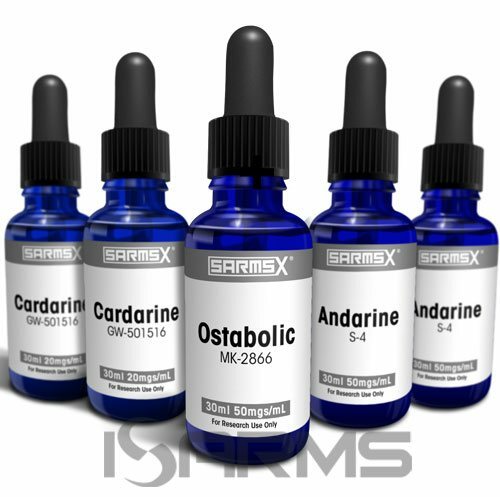 Fat loss: the best shredder stack would be the combination of 20mg of cardarine with 50-75mg of andarine. This combination is well known as a potent ‘cutting’ stack. 3. 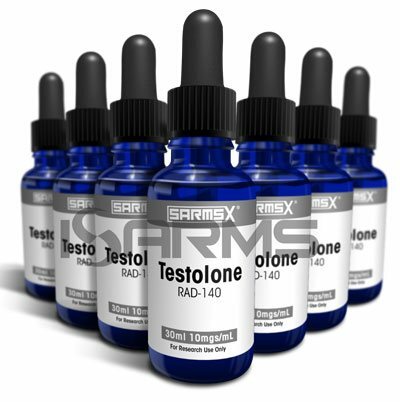 Anabolic steroid stack: Stacking andarine as part of an anabolic steroid cycle is a good way to help increase strength and lean muscle mass without giving additional side effects to your cycle. 4. As a stand alone: Andarine used by itself at 50-75mg. 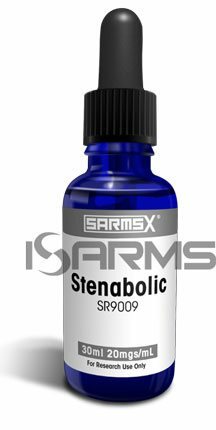 It is, in my opinion, one of the best SARM’s for increasing strength quickly. You will be moving more weight within 1-2 weeks, and the side effects will be minimal. 5. 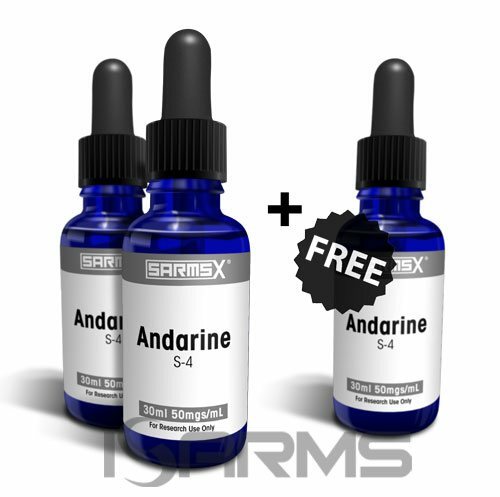 SARMs triple stack: If you want to recomp, andarine stacks beautifully with cardarine and ostarine (MK 2866). 6. Bridging: Andarine is great at preventing muscle wasting, so you can use it between cycles because it is very minimally suppressive. Andarine does not aromatize, it is not suppressive when used properly, and it will not harm the liver. However, andarine is known for one side effect – its affinity to bind to the androgen receptors in the eyes, which is not permanent or harmful. When this happens, the user may have problems adjusting their vision from darkness to light, or they will notice a yellow tint. If this becomes a problem, you can lower the dose down or take a couple days off from taking it. Therefore, there is nothing to worry about because once the compound is stopped, your vision will return to normal within a few days to a week. The half life of andarine is only 4-6 hours, so split dosages are a good idea. Andarine is found through research chemical means, usually online. It is important to only buy from a trusted source, since this is an unregulated industry and many products are underdosed or bunk. One such place is this site, which has real andarine for an affordable price, and it is legal to purchase with the intention of using for research only.